The dream of home ownership is one that should be attainable for all Americans and none more than veterans and current military personnel. Lenders always look for indicators of reliability in potential homeowners. Your status as a veteran brings with it an assumption of responsibility and maturity that can prove invaluable during the loan process. We enjoy working with veterans and feel that your service and sacrifice has value. In this time of higher income requirements and tougher credit standards, a VA loan can be instrumental in securing a bright and stable future. The benefits of a VA loan are more than just relaxed qualifying guidelines and low or no down payment financing. Mortgage insurance is not required because the loans are guaranteed by the Department of Veterans Affairs, further lowering monthly payments compared to a conventional loan. Many eligible veterans choose to refinance their current home loan at a lower VA rate. *0% Down Payment VA loan amounts vary by county since location affects the value of a house. A Premier Funding Network mortgage expert can provide the exact amount available for your desired neighborhood. You have more than six years of service in the National Guard or Reserves. 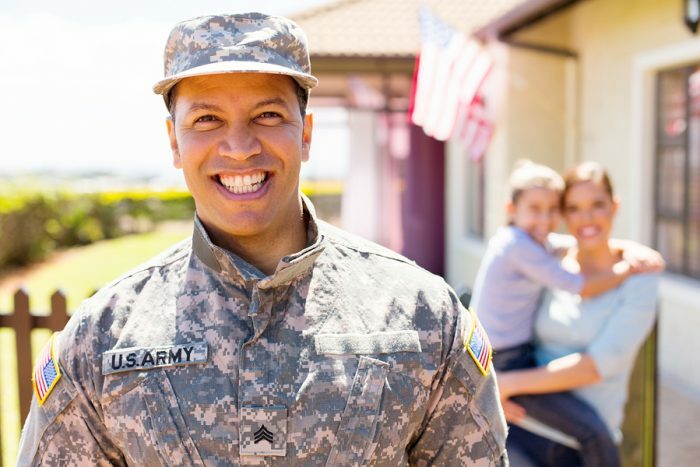 Veterans and current military members considering a home purchase or a refinancing should give Premier Funding Network a call so that we can explain in detail all of the advantages that a VA loan can provide. Above all, at Premier Funding Network we appreciate your service and will go above and beyond to take care of your goals in buying a home. Call us at 714 283-9900 and let’s take advantage of the benefits you’ve earned and make the next stage of your life the best one yet.